Pleck station lay on the London North Western Railway's line (later LMS) that linked their South Staffs and Grand Junction routes. The station opened in 1881 and closed in 1917, only to reopen in 1924 and close finally in 1958. Above we see the station during the 1950s when it was in its final days and looking the worse for wear (photo: Roger Shenton). 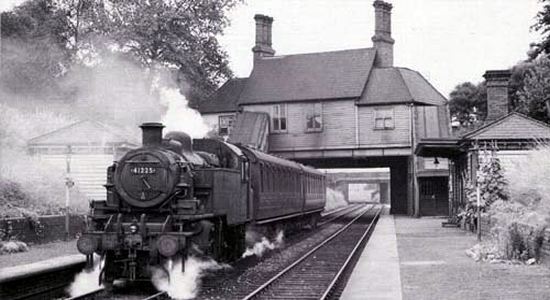 As can be seen, the station building itself was of a wooden construction and straddled the tracks at the level of Bescot Road bridge onto which it fronted. 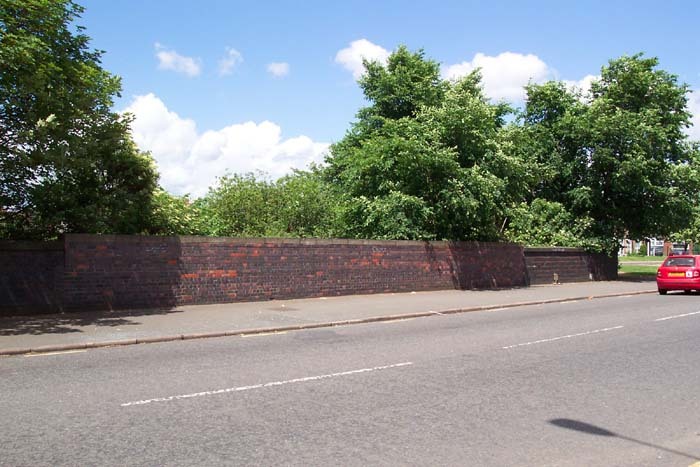 Above-left we are on Bescot Road (A461) looking to the spot where the station building once stood and as can be seen, nothing visible remains today to indicate that the former station existed. Above-right we have crossed the A461 from the previous shot and are looking over the bridge parapet to see the site of the station. 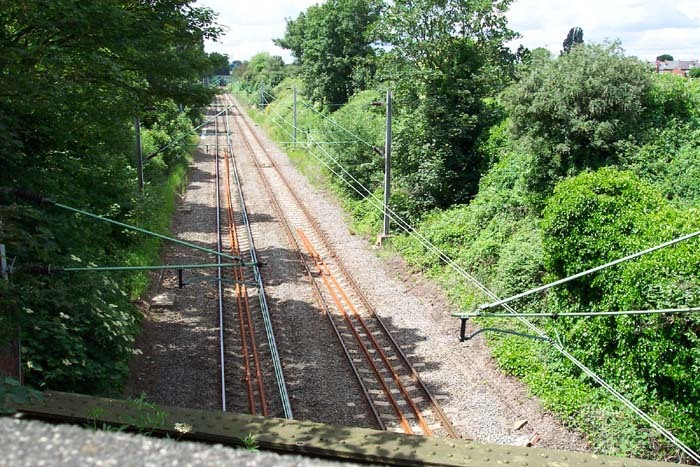 This is the opposite perspective to the one shown in the 1950s photograph above and once more does not yield any indication of the site's former purpose including an apparent lack of remains of the Walsall platform (to the Right) and Wolverhampton platform (to the left). However, after some fence-hurdling above-left we are standing looking down at the gate that led to the Walsall platform - in the 1950s photograph, this can be seen on the left of the shot at the bottom of the stairwell. As can be seen, the wooden stairwell is long-gone but the brickwork that supported the structure is very much in evidence. Above-right is a shot from the A461 with the camera angled virtually straight down towards the track: I was pleasantly surprised to see that the girder that supported the station building over the tracks (and can be seen in the photograph from the 1950s) is still in situ. Above-left we see the brick buttress that supported the station structure and girder on the Walsall side of the station. Above-right we are back on the A461 road bridge looking along the track towards Walsall and can see in the distance the Hillary Street road bridge that can also be clearly seen in the 1950s photograph with the distinctive pipe attached. Out of all the sites I've visited for this project, this was one of the most awkward to photograph (with the possible exception of Soho Road) and I had to eventually give-up my attempts to recreate the same angle as the 1950s photograph at a point when I was waist-height in nettles and brambles perched halfway up the embankment on the Walsall side. Nevertheless, it was an interesting site to visit and yielded a few interesting remnants of the station.